My quest to find a fuel-efficient car. When my beloved Volkswagen crashed into “Dieselgate,” I had to get a new car. Could I find one that fit my needs and got good gas mileage? What happens when your supposedly “clean” car is actually spewing an asthma-, smog-, and acid rain–causing greenhouse gas at an alarming rate? This is a story that begins with schadenfreude, a word that comes to us from the Germans, as did my car, a 2013 midnight-blue VW SportWagen TDI. TDI stands for—actually, I don’t know what it stands for, but it meant that every 500 miles or so I had to find a gas station that sold diesel fuel. Volkswagen used to boast about its TDI models, powerful, high-mileage vehicles it touted as being “clean” and environmentally “friendly.” My TDI’s fuel economy was as good as or better than that of the other car in our garage, my husband’s plug-in hybrid. It was getting close to the mileage of the gaggle of Priuses crowding the food co-op parking lot. And it did this without sacrificing looks, or raw horsepower, or interior space to a battery. Tout, tout, tout. Then, on Sept. 18, 2015, my TDI crashed into “Dieselgate,” along with about half a million other cars. Volkswagen, we learned, had figured out a way to trick the emissions tests, allowing the company to hide the fact that its “clean diesels” were spewing NOx, an asthma-, smog-, and acid rain–causing greenhouse gas, at an alarming rate. (My car was probably spewing this stuff at 15 to 35 times the allowable limit for a VW Jetta, for example.) There were class-action suits, there were criminal charges, there was a substantial settlement followed by an inordinate amount of paperwork. Finally, more than a year later, in late January of this year, I drove my toxic TDI to the Volkswagen dealer, turned in the keys, and left with a check for an amount that was not much less than what I’d paid for the car three years before. The payout was nice, but you can’t drive money. I needed to find a new vehicle. Often when you buy car, it’s under duress. You’ve been in an accident, or your old car has broken down and you’re in a jam. This wasn’t like that. I knew that VW would eventually buy back my car, though for the longest time I didn’t know when. And happily, I knew exactly what I was looking for: The car I’d been driving, minus the cheating on the emissions part. Anticipating my eventual trade-in, last fall I began pouring over Car and Driver, Consumer Reports, Green Car Report, and Jalopnik. I joined TrueCar and Fuelly. I studied the government’s car safety and fuel economy ratings. 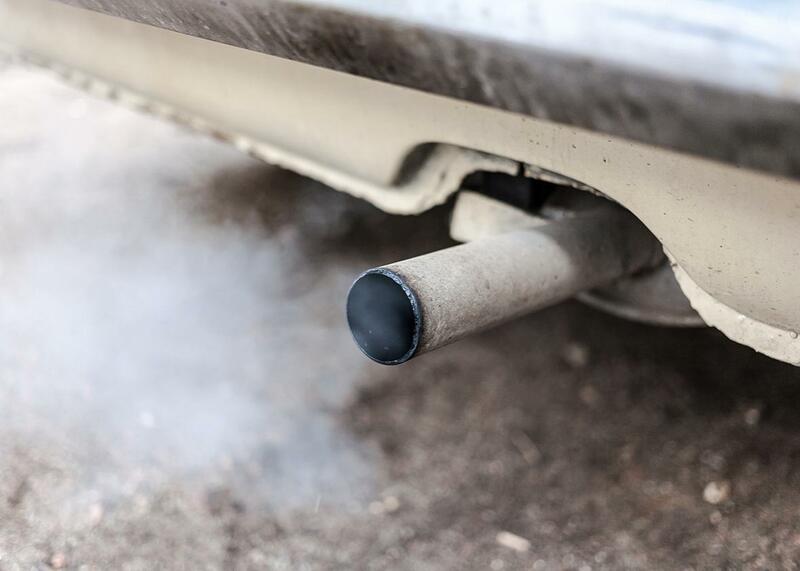 It was three years since the Environmental Protection Agency had issued new fuel economy standards that would require cars and light-duty trucks to achieve 54.5 miles per gallon by 2025. Surely most automakers were already inching their way in that direction, I thought. But even more surely, it turned out, most of them were not. Car companies make their big money selling SUVs and trucks. And most consumers, they argue, want SUVs and trucks. It may be chicken, it may be egg, but these days, a new-car buyer whose primary concern is fuel efficiency is a statistical outlier. Hybrids and electric vehicles, or EVs, accounted for less than 3 percent of all new car sales in the first quarter of 2015, for instance, and that number appears to be going down, not up. That same year, when hybrid and EV owners traded in their vehicles, more than half swapped their fuel-efficient rides for gas-thirsty SUVs and crossovers. My search for a fuel-efficient car would also be complicated by how difficult it currently is to compare fuel-efficiency. We’re in a strange era because we haven’t figured out which strategy will yield the highest efficiency. For example, plug-in hybrids may go 10 or 20 miles on a charge, but once the battery is emptied and the gas engine kicks in, they might only get 30 or 35 mpg. Thirty-five miles per gallon is not bad—in fact, it’s significantly more than the 24.8 mpg achieved by the average American car. Still, it is not as good as my SportWagen or, for that matter, a Prius. Pure electric vehicles can go far on a full charge—a Tesla Model 3 is rated at 200 miles per full charge and a Chevy Bolt can get about 38 miles more than that—but EVs are pricey and impractical for those who, like me, live in rural states where charging stations are few and far between and cold winter temperatures tend to drain the battery. A Prius comes by its mpgs honestly. It’s an old-school hybrid, though there is a new plug-in version, too. Either of these, I imagined, would be my next car. And then I met Neil. Neil wanted to sell me a Prius. He wanted to sell me a Prius so badly that, when I told him that I was probably going to take my VW check and hand it directly to him, he insisted on giving me a half-hour recitation of the owner’s manual. When I said I’d like to drive the car, he took me out to the lot, but when I got in the driver’s seat, he asked me to move over so he could take us for a spin: He wanted to show me all the car’s bells and whistles. One of those bells goes off every time the car breaches the centerline. One of the whistles sounds when it drifts to the shoulder. After about 20 minutes zigging and zagging to make sure I appreciated these and other safety features, Neil let me drive. There was a screen to my far right, and a screen to my near right, and a small screen projecting the vehicle’s speed onto the windshield. I felt like I was driving a computer. By the time we got back to the showroom, I was thinking: “Honda Civic.” I was thinking: “Mazda 3.” These are regular cars with decent gas mileage. In fact the Mazda easily gets close to 40 miles per gallon on the highway. True, I don’t live near a highway. I live on a dirt road on top of a mountain (which is why the Mazda’s heated steering wheel was so appealing). At the Mazda showroom, the salesman, Tom, gave me the keys to a top-of-the-line Mazda 3 and told me to be back before 5, when he was going home. It was 9 a.m. I drove the car up a long hill and into what passes for a city here, weaving through stop-and-go traffic. The car was comfortable and peppy. The interior was stylish. The toasty steering wheel did not disappoint. And the mileage was in the low 30s, which seemed reasonable. Why bother with a hybrid, I asked myself, when I could get a car that was fun to drive and easy to maintain? So what if it didn’t have the very best fuel economy? Clearly, I was giving up. I had been to numerous dealerships. I’d been offered cars that drove like science experiments (in addition to the Prius, the Chevy Volt), cars like the Ford C-Max Energi and the Audi e-tron that got excellent short-range mileage but had mediocre long-haul efficiency (long-haul being anything over about 15 to 20 miles), and EVs like the Nissan Leaf and Chevy Bolt that indeed may be the cars of the future, if the future does not entail subzero temperatures (which, who knows, it might not). The landscape, as I saw it—bleak and dispiriting—looked like this: If I wanted a car that was pleasant to drive, it would have less than optimal gas mileage. If I wanted a car with optimal gas mileage, it would be unpleasant to drive or impractical. By impractical, I mean too small. The reason the Mazda 3 and Honda Civic hatchback get decent gas mileage is that they are small. Neither passed my simple cargo space test: being able to fit my road bike without needing to remove the front wheel. Hyundai’s sister company, Kia, was building up its own fleet of efficient vehicles. Its latest offering, a hybrid SUV called the Niro, with fuel economy that rivaled the Prius, was supposed to be available sooner than the Ioniq, though none of the dealers I spoke with knew when “sooner” was. The reviews of the Niro from the U.K., where it was already on the road, were … OK. Reviewers complained that it didn’t have four-wheel drive. Or they weren’t blown away by the sound system. Or they didn’t like its low-profile wheels. I cared little, or not at all, about any of these. Then, there was the guy who groused about ground clearance: A true SUV, the reviewer claimed, sat higher off the ground and the Niro was more like a VW SportWagen. Bingo! I had found my car! Unfortunately, I also couldn’t buy it. There were no Niros for sale in the United States. The first shipment was on its way across the Pacific from South Korea, heading for the West Coast. It could be weeks, or months, before the Niros arrived in the Northeast. This was in mid-January, when I was about to turn over my TDI to Volkswagen. The prospect of being without a car of my own for weeks or months was a bit intimidating, and I was tempted to call up Tom the Mazda dealer and tell him I wanted that Mazda 3 after all. But if my search for the ideal car felt more than a bit like finding the right mate, then calling Tom was settling. I decided to wait it out. In the meantime I called Kia and mentioned that I was writing about my hunt for a big-enough, powerful-enough, fuel-efficient-enough car. Not long afterward, I was invited to San Antonio with some professional auto writers to spend a few days test driving the Niro. When I explained that I couldn’t go, the Niro PR director, also named Neil, suggested that he might be able to get me one to test drive. “How long would you need it?” Neil asked. “You can have it longer,” he said. “How about a week?” I said. “You can have it longer,” Neil said. “Ten days, then,” I said, and he agreed. I know what you’re thinking: He did this so I’d be inclined to say nice things about the car. At first I thought so, too, but then I realized that the longer I had it, the more time I’d have to find things about the vehicle I didn’t like, just like those other reviewers. The thing is, though, I’m not a car reviewer. I’m a consumer. All I wanted to know was: Did this car meet my needs? I drove it to the food co-op, and to the airport, and up and down our steep mountain. I drove it in the rain, and at night, and in the snow. The lights were bright, the car cornered well, the brakes were not soft, visibility was excellent. The dog settled in like she owned it. The heated steering wheel and seats were a joy. The dashboard looked like a dashboard, not a video game. The Bluetooth connected in a flash. The radio had knobs. The touchscreen was not distracting. My bike fit in the back like Cinderella’s slipper. All the while, I was obsessively checking the Niro’s fuel consumption. It was right on target. When the Niro was finally for sale in Vermont, I bought one. The very next day, the Alliance of Automobile Manufacturers and the Association of Global Automakers asked the EPA to ditch those 2025 fuel efficiency goals, which my 2017 Kia already meets. When gas prices inevitably rise, I’m pretty sure that schadenfreude will be along for the ride.